Personal Interest:If you are blogging on the topic that you love and are passionate about it, then you have already won the half battle. The first and the most important thing is to select a topic that you love to explore, read and talk about. Readers are only going to come back on your blog if they find the content appealing and useful, which you can only serve them if you are comfortable and expert in your domain. You will also loose interest very soon in generating fresh content if it is not of your choice. Having the favorite topic in hand for the blog does not mean that you will surely get profit from your blog. There are other factors involved. Read on.. Popularity:Assessing the popularity of the chosen niche is the next step. If people do not search for the topic you have chosen, then no matter how hard you work, the results will never be promising. Start analyzing with search engine results. Google the first keyword that comes in your mind related to the topic and see the results. Profit Potential:The popularity of the topic alone doesn’t mean it can give you profits. The most critical thing is to look whether it has sufficient advertiser’s base in major PPC Advertising networks. Google Adsense and Yahoo Publishers Network (YPN) are the two most popular PPC programs. Google has provided Google AdWords Keyword Tool and Google Adwords Traffic Estimator to look for high paying keywords related to your blog niche. You can use these toolsto get a fair idea about the traffic and average CPC for the relevant keywords for AdWords/Adsense. Although the provided data is not accurate estimate, still it will give you fair amount of data to assess the earning potential of your blog niche. For more accurate keyword research you can use WordTracker and can get the list of targeted keywords for the topic of your blog. Content availability:To keep running your blog, you need fresh quality content at a consistent pace. Some bloggers face this situation where they start very enthusiastically, but soon they end up in searching for fresh ideas for their blog content space. For making a successful blog you have to feed it with new valuable content continuously. Choosing a niche that has scope of vast amount of content creation is a wise decision. You can subscribe to news bulletins, discussion forums and your peers in the Blogosphere to get new ideas and topics for fresh new content. I have to say I'm just starting to dip my toes into the SEO waters and this article/list has blown me away. 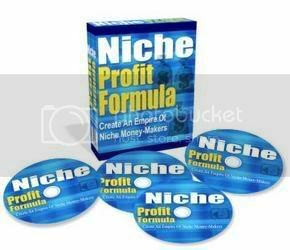 When making a blog or a site or if you want to make money online it is important to pick the right niche.